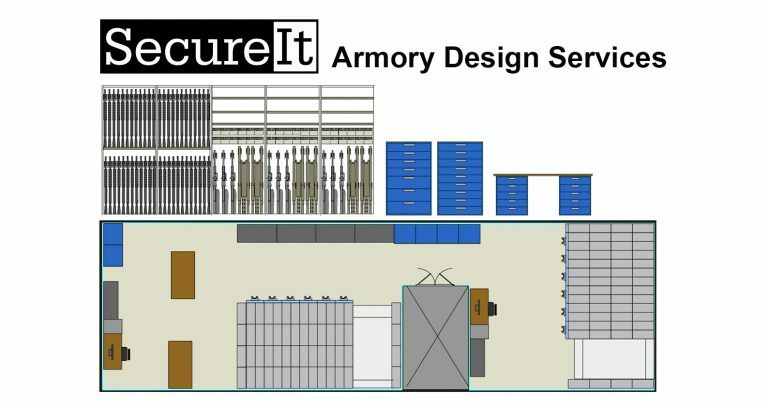 As the industy leader in weapon storage, SecureIt® brings unmatched experience, know-how and innovation to all things armory related! We are here to help! 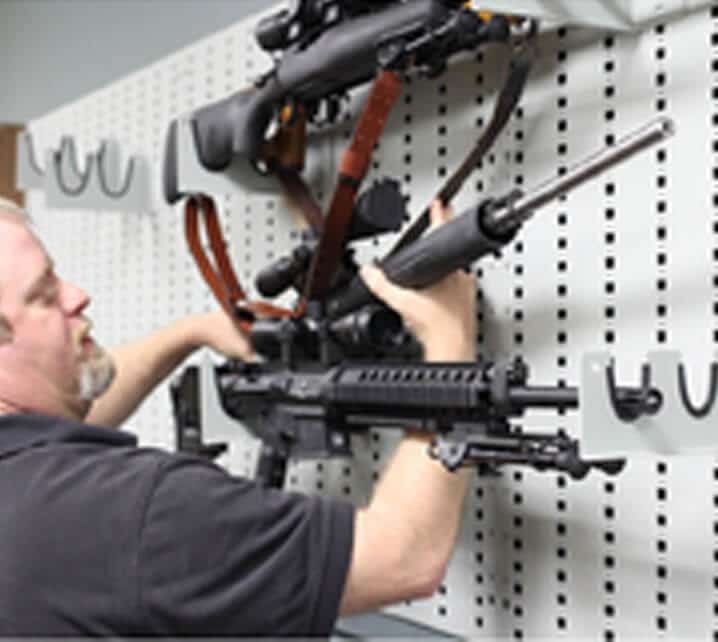 How a technology storage expert, turned military weapon storage guru, is revolutionizing the way military armories store their weapons. Traditional, bracket-style weapon storage racks weren’t designed to store today’s modern firearms. Recognizing this, SecureIt did an in-depth study with U.S. Army Special Forces Command analyzing their armories’ challenges and developed revolutionary technology to meet the evolving needs of today’s military armories. 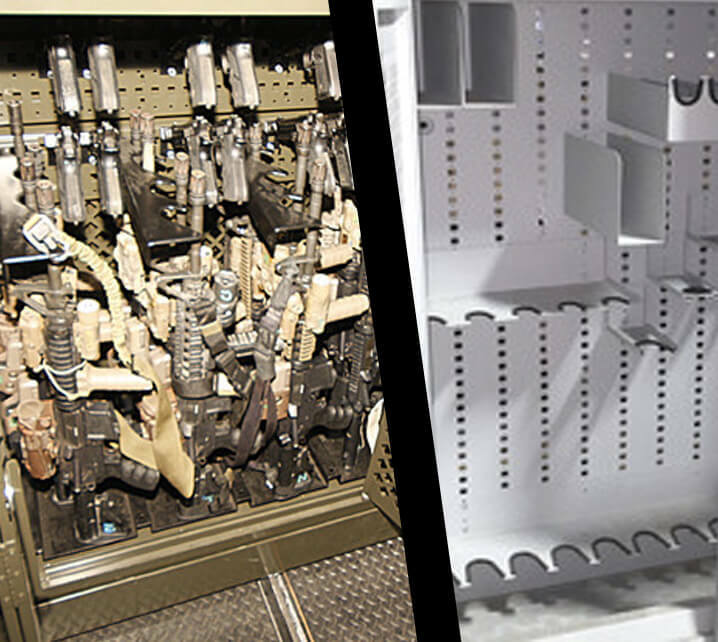 SecureIt’s modular weapon rack solution is scalable and flexible, but most importantly, it is remarkably simple. 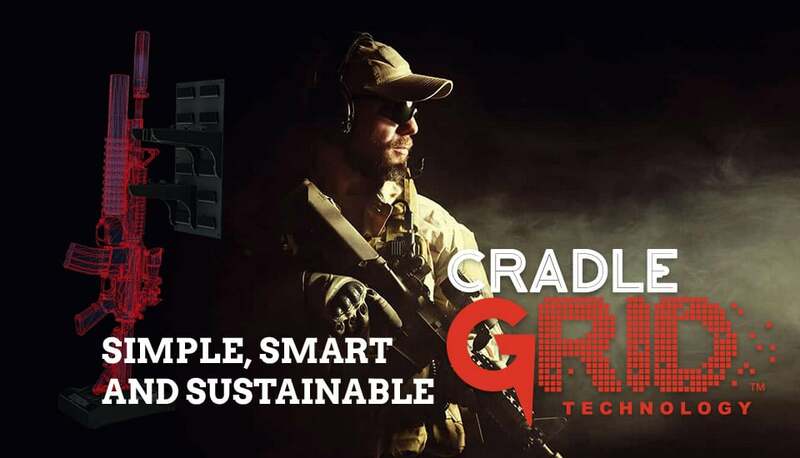 At the heart of our storage system is CradleGrid™ Technology which fits virtually any weapon, allows for straight-line access to each and every weapon and accommodates weapons with optics. We’ve put our CradleGrid system to work for all branches of the military, in all theaters of operation. Has designed and built more modern military armories than any other company in the world. The gun storage game will never be the same! Why are military armories failing? It’s been10 years since our last arms room assessment, which involved all US Army Special Forces armories. An 18 month contract culminating in the formal report “Flexible weapon Storage” presented to USAFC at Ft Bragg. The results were several positive changes in military armories Since then, a lot has changed….